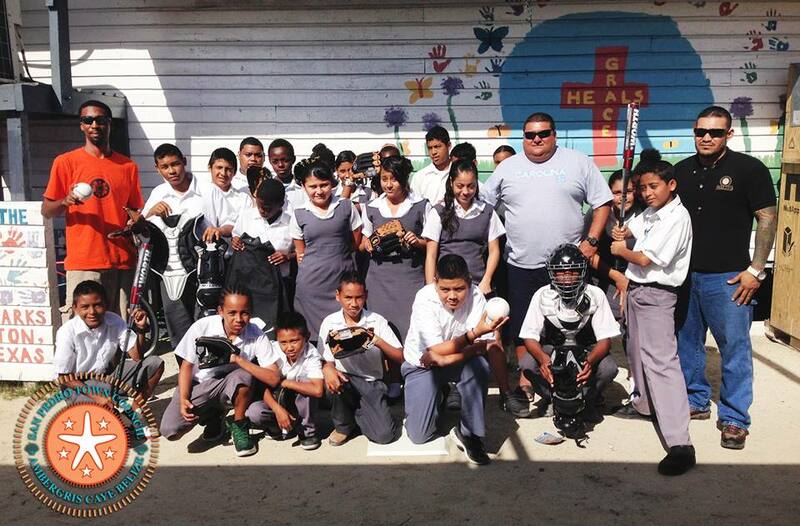 On Wednesday, January 29th, the San Pedro Sports Council (SPSC), in conjunction with the San Pedro Town Council (SPTC), donated softball equipment to the Holy Cross Anglican Primary School. The donations are in an effort to continue promoting sports as a healthy youth recreational activity. Presenting the donation to the happy softball team along with their coach and teacher, Brandon Bood, was Councilor Gaby Nuñez and SPSC member Kent “Bob” Gabourel. According to Bood, the equipment is much needed by the school. “These children love playing softball and they are good at it. We are thankful for the donation, it will really help our team better themselves,” said Bood. The donation included two softball bats, three softball balls, ten softball mitts and a complete set of the catcher’s protective gear. Holy Cross Anglican Primary School would like to thank the SPSC and the SPTC for their generous donation; it will surely be put to good use!